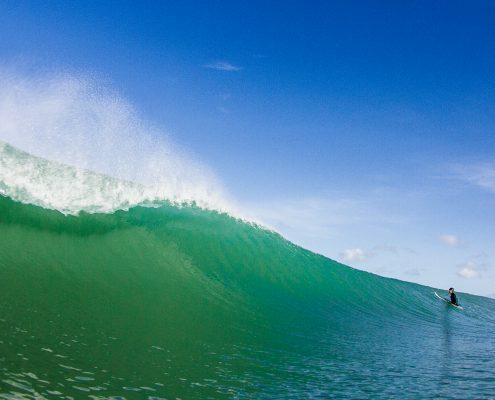 Surfing is a sport that is becoming more and more popular around the world. In the past the sport was only associated with hot climates such as Australia and Hawaii. 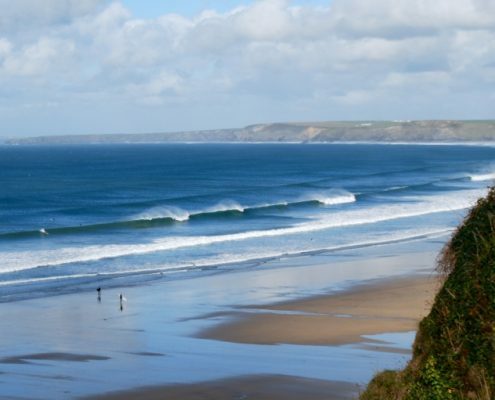 In more recent times you can find up and coming surf spots in almost every corner of the globe – and we at Cornish Wave believe that the UK is one of the very best for learning to surf. Like with any sport, the enjoyment of the activity comes at a cost of lots of physical effort. Surfing is definitely no exception. To be able to shred waves like they do in the movies you will require an impeccable level of fitness, flexibility, core strength and balance. While these are not traits that we are all blessed with from birth, you can train to improve them. What better way to do it then riding waves to the shore? When we talk about fitness we tend to think of being able to go for a 5-mile jog without breaking a sweat. What actually enables our bodies to do this is known as Cardiovascular fitness. What many of us don’t know is that there are numerous ways to increase your cardiovascular fitness. 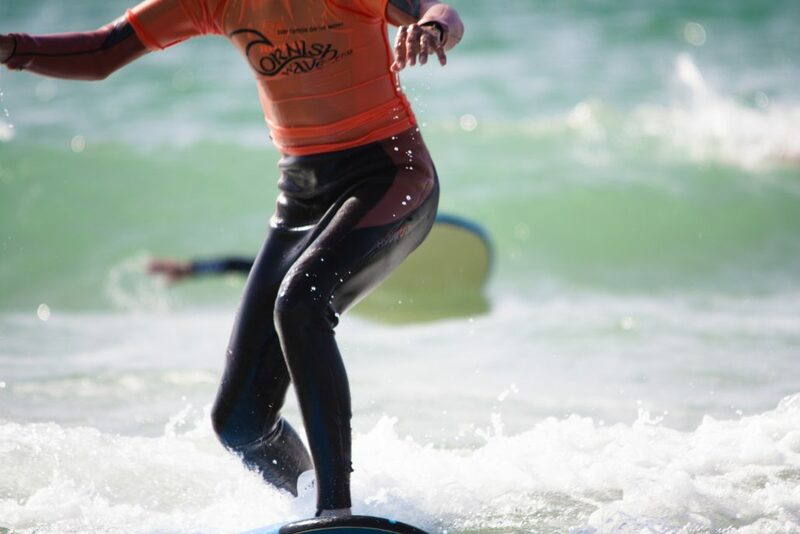 Some of the most effective workouts are actually performed whilst taking part in sport; in particular surfing. 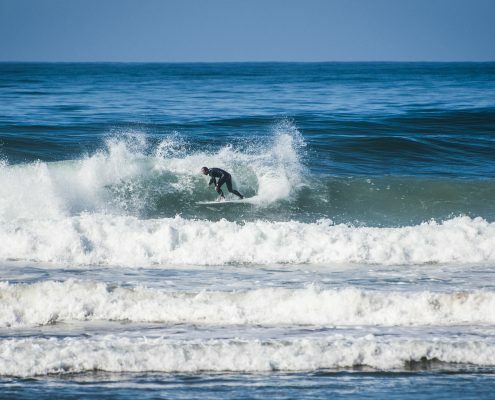 There are many muscle movements and contractions required to successfully surf a wave; these all require your Cardiovascular system to be working hard and functioning well. 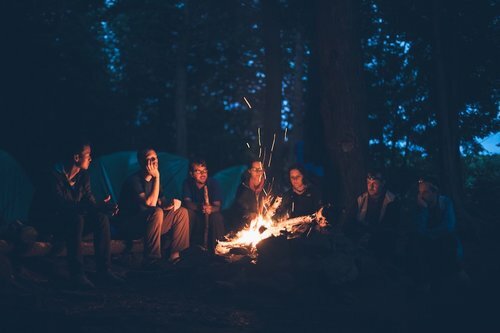 Flexibility is an important trait for the human body as this is what stops us from over stretching and as a result damaging muscles and ligaments. Preventing injury is just as important as taking part in an activity as it is what allows us to push our bodies to the limits. When you first start lessons with one of our instructors you may feel a bit tight when trying to get into certain positions. Sometimes you may even think “there is no chance my body will bend like that”. You will be surprised after you start to limber up and stretch out those muscles regularly what your body can achieve. Another benefit is that you’ll be reaching the top shelf at home with no problem at all. 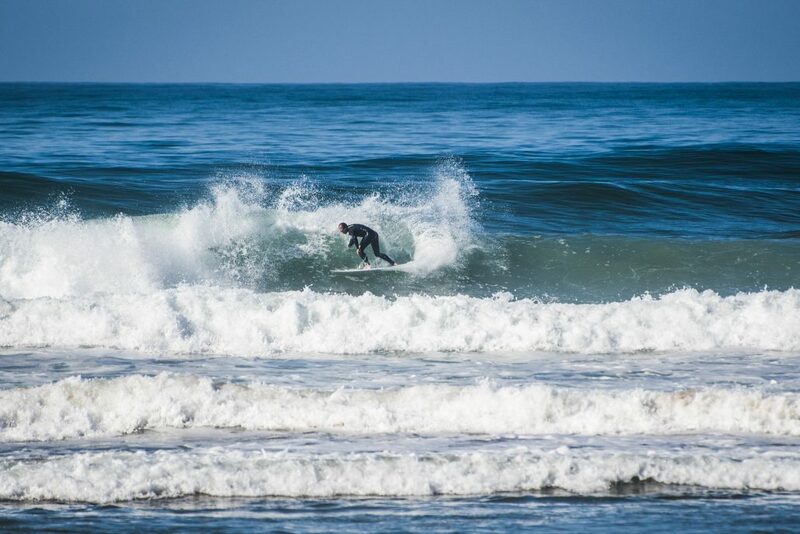 Surfing without any form of balance is basically just swimming whilst dragging a surfboard behind you and that doesn’t sound like too much fun. You will naturally start improving your balance as soon as you start your first lesson with us as staying on your board depends on it. This will only increase more the further you progress with us. 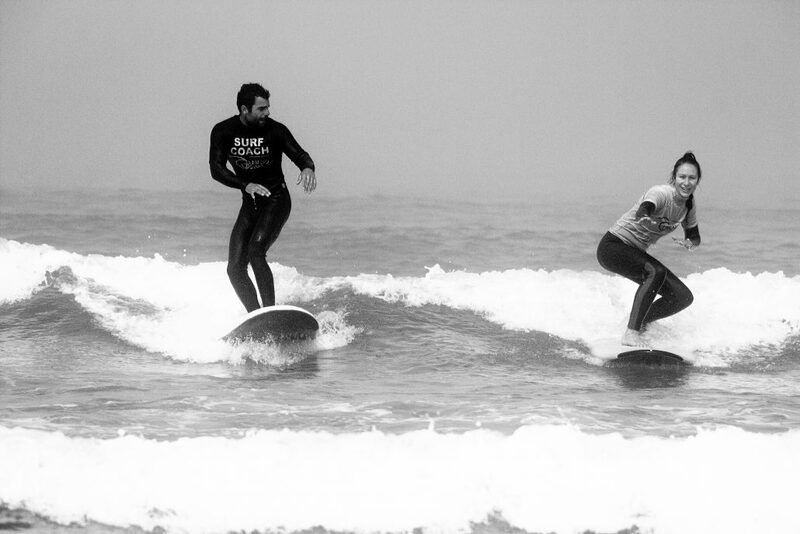 Improving your balance from surfing will massively help you not only in the water but out of it also. Without even noticing, your ability to protect yourself from slips, trips and falls will massively increase as these all depend on your balance. Another great exercise benefit of surfing is the strength that you will gain in almost every part of your body but most importantly your core. Your core strength is basically your ability to move your body around and is used in most tasks in everyday life. That heavy box that needs moving or even just sitting up in bed all requires core strength. The better yours is the easy all of that will become. 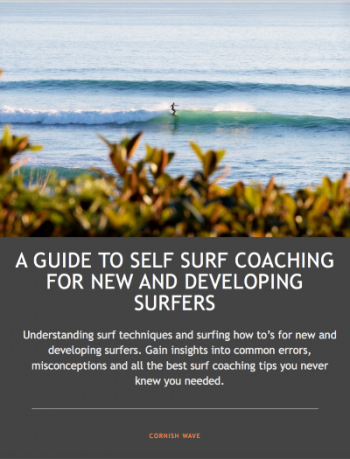 Surfing will help improve this for you dramatically; it mostly comes from the time you spend paddling out. We are sure that you have heard of the benefits of swimming and it works exactly the same in this case. 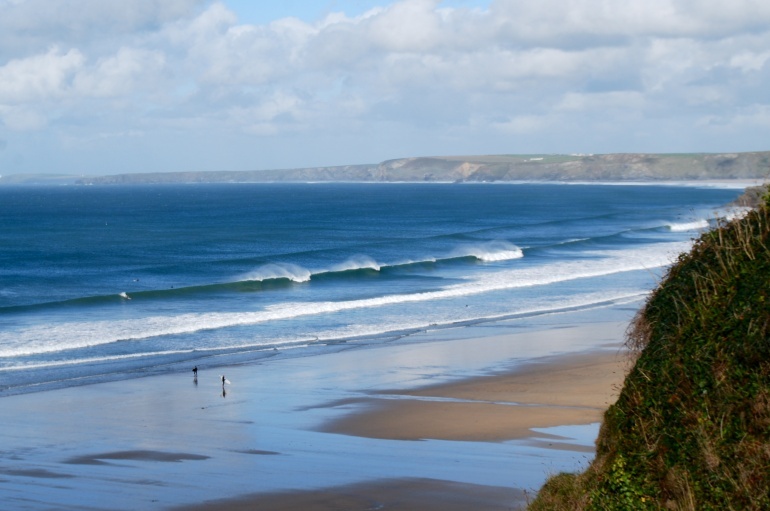 We hope that we have convinced you of the health benefits associated with surfing. So yes, you can cancel that pesky gym membership and stop those boring jogs around the park. 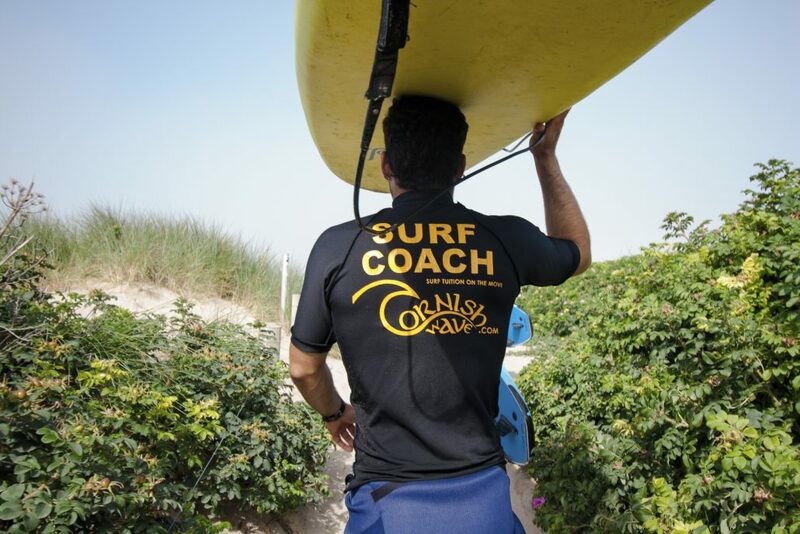 Come catch some waves with us instead and have fun while you shed those pounds! 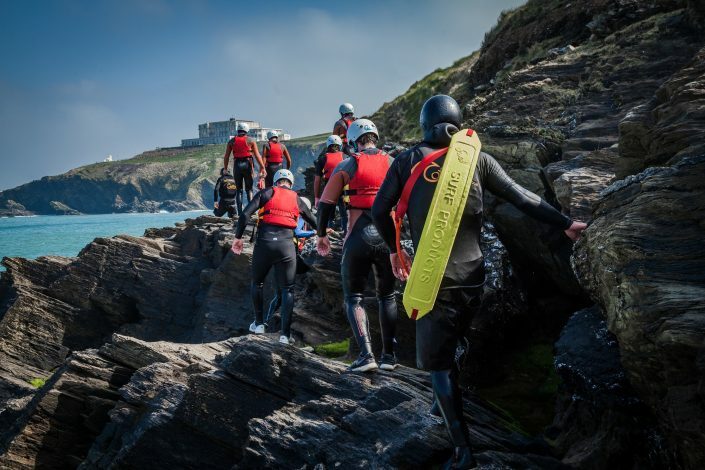 The first in our latest blog series on Coasteering Your Way to a Better You takes a look at how Coasteering is good for both body and mind. 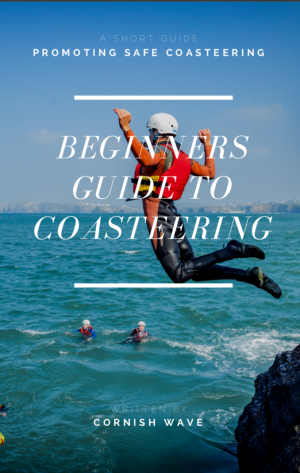 12 Things You Need To Know About Coasteering covers a wide range of topics highlighting the benefits and key features you should know before coasteering.